This is the design I created for the review of the Wilton Baroque Mould review. I’ve been itching to do a pink and gold cake, inspired by my Pink and Gold Cakespiration board on Pinterest and this glitter theme board from Paperknots. 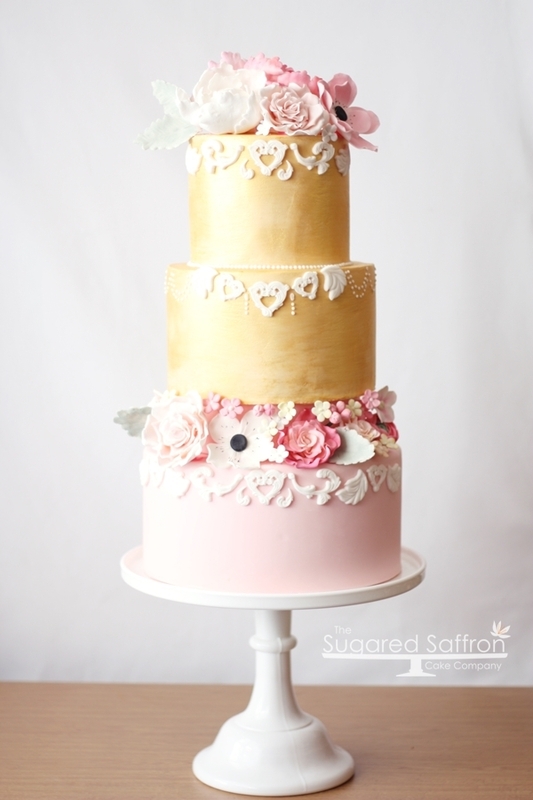 The cake features the gorgeous scroll work and hearts from the mould. 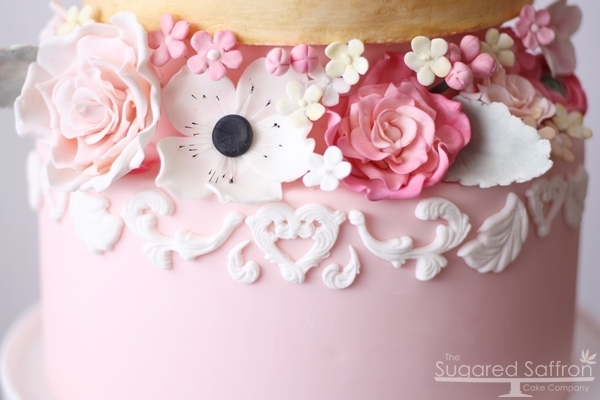 The sugar flower separator tier features Anemones, Roses, Peonies and some Dusty Miller thrown in to add a bit of green. Well, grey-green. I’m not one for cakes dripping with embellishments. 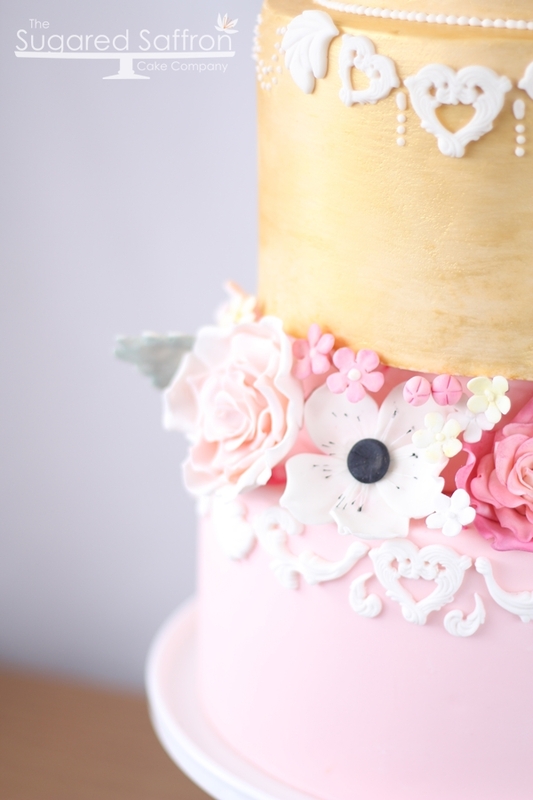 You know the ones, lots of scrolls, lots of gold and more tiers than you can shake a stick at, this is my interpretation of a modern baroque style cake. But without the gaudy. So what do you think? Let me know it the comments below. There are no words for how fantastic this cake looks!